I love Easter for many reasons, but mostly it’s the number of sweet treats that come with this weekend. I made a selection of stuff to share with my friends and family including these bunny biscuits complete with tiny tails, cornflake nests and Creme Egg cupcakes. Consuming a hideous amount of chocolate, particularly Cadbury’s, at this time of year is inevitable. I used about two massive bars to make the cornflake nests. 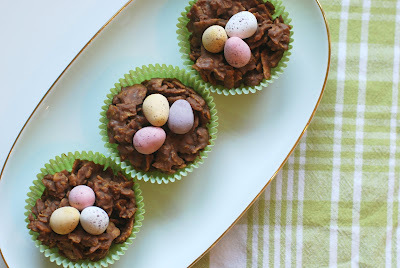 They reminded me of being at school, although I don’t actually remember making them at school…Despite replacing many meals lately with mini eggs I managed to find some spare to decorate these. 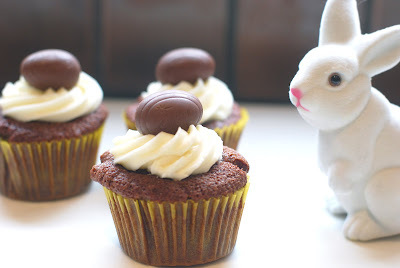 For me Easter is pretty connected to the Creme Egg, so when I found instructions on how to make cupcakes with mini creme eggs baked inside, I couldn’t resist. 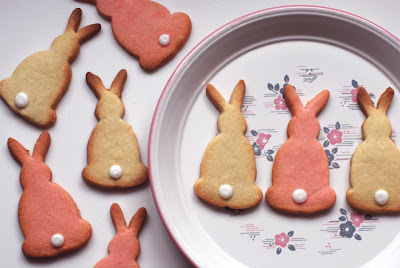 I hope everyone that I share these with today will be very happy bunnies. Happy Easter!